The Plate Mounted Asec Aluminium Door Handles are ideal for domestic and commercial use. 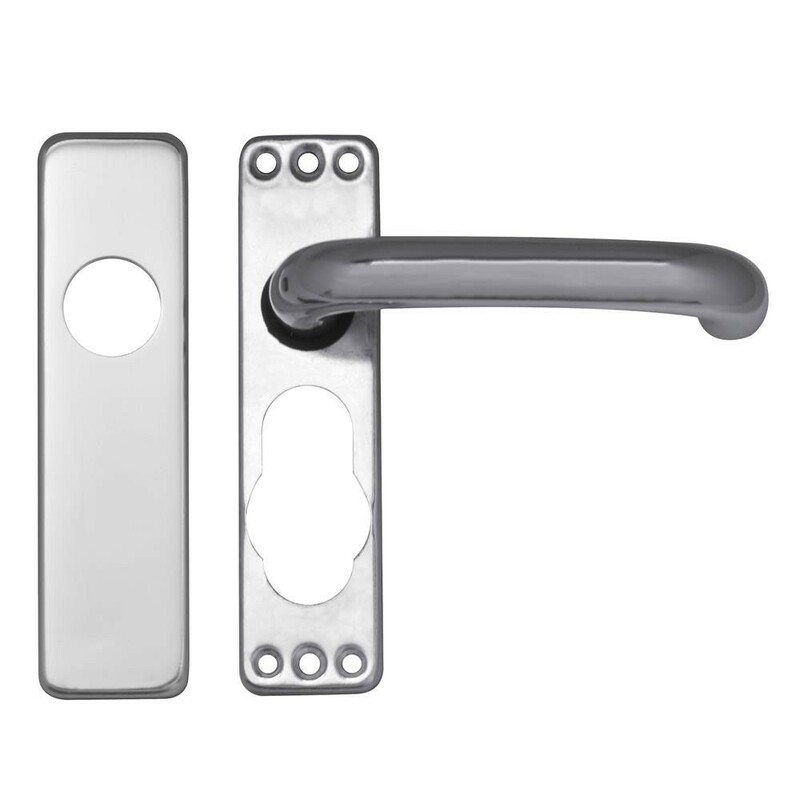 They have a 19mm round bar lever which returns to door and are supplied in pairs and have concealed fixings for an easy to clean attractive finish. Return to door design. suitable for indoor use.19mm round bar lever.Concealed fixings.4 screw holes.Takes a standard 8mm spindle.